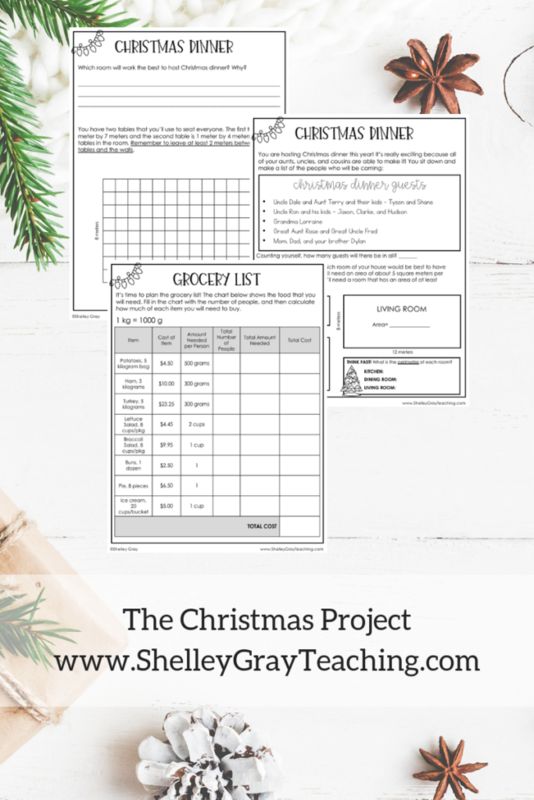 Christmas is coming and you have a lot to do! Besides hosting Christmas dinner, you’re hosting the annual Family and Friends Sleigh Ride, cutting down a Christmas tree, buying gifts for your cousins, choosing Christmas sweaters for your friends, and more! It’s time to get to work! Happy holidays! 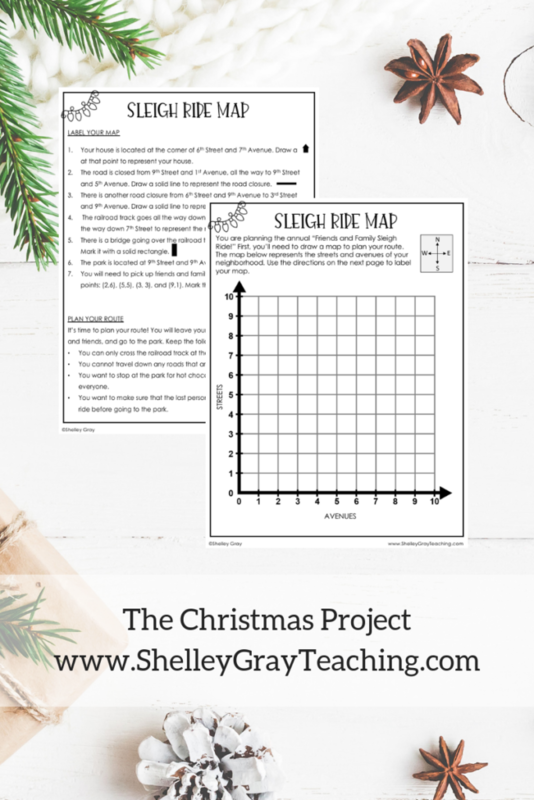 Are you looking for the perfect math resource to engage your students during the month of December? You’ve found it! 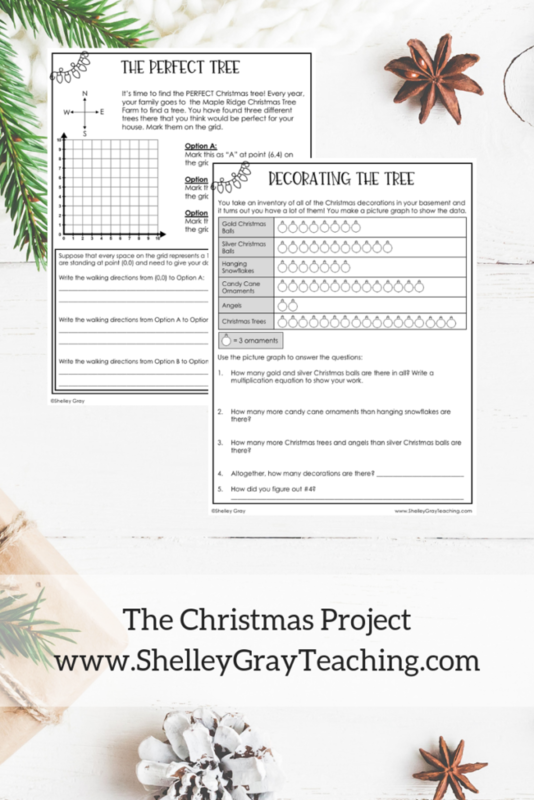 The Christmas Project is a real-life math project where students will complete NINE different Christmas-related tasks. 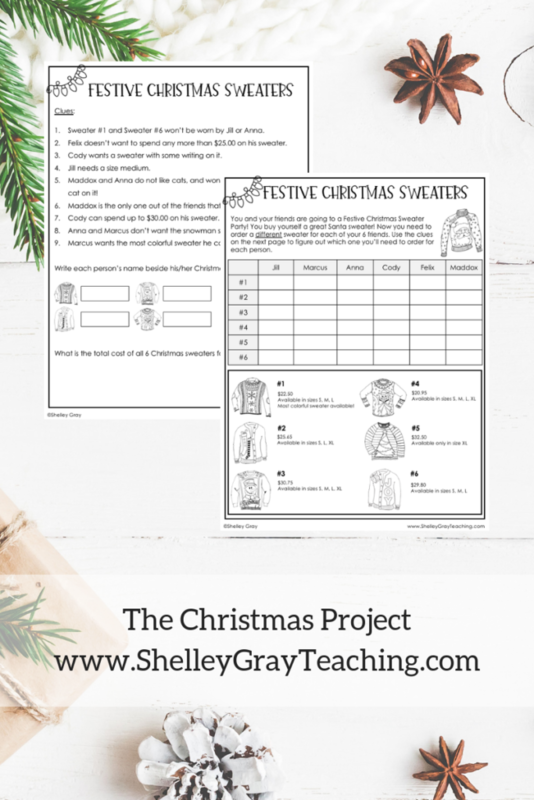 The tasks will keep your students engaged during those sometimes chaotic days before Christmas, while ensuring that curriculum-related topics are being continually reinforced! SEE THE CHRISTMAS PROJECT HERE. 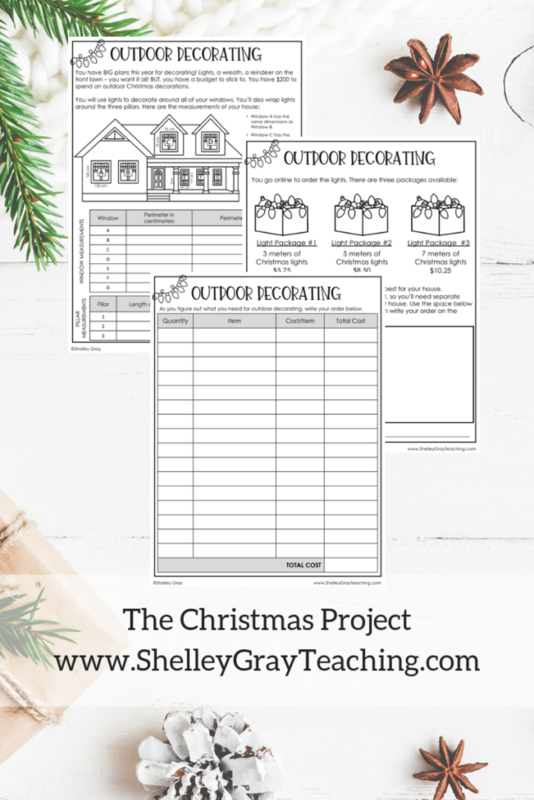 Plan everything that you need to decorate the outside of your house – lights, a wreath, front lawn ornaments, and more! BUT you’ll have to stay within your budget! 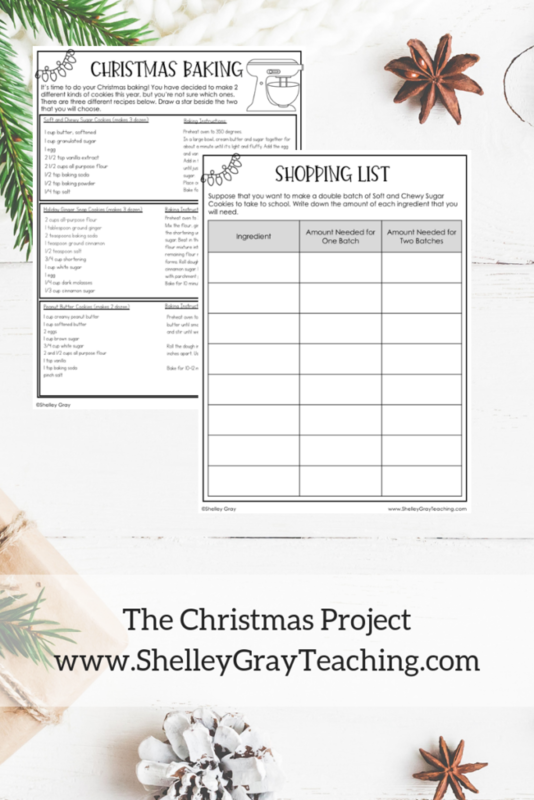 Decide which recipes you’ll use and plan your shopping list! It’s all about the Christmas tree! First, locate some different options for Christmas trees. Then take an inventory of your decorations. Who doesn’t love a good Christmas sweater?! Decide which sweater is best for each of your friends! Christmas dinner is coming and you’re the host! First plan a table arrangement. Then plan the shopping list! You’re in charge of buying gifts for your 5 cousins! Use the Holiday Gift Guide to choose the perfect combination of gifts for each person. You’re planning a Family and Friends Sleigh Ride! But first you’ll have to map out your route! 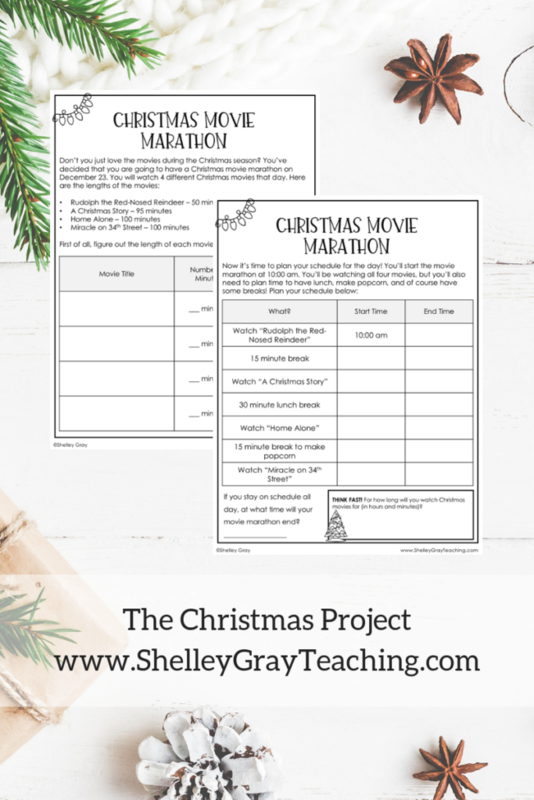 It’s Christmas movie season and you’re planning on spending an ENTIRE day watching Christmas movies! Plan your schedule so that you can be sure that you have time to watch them all! 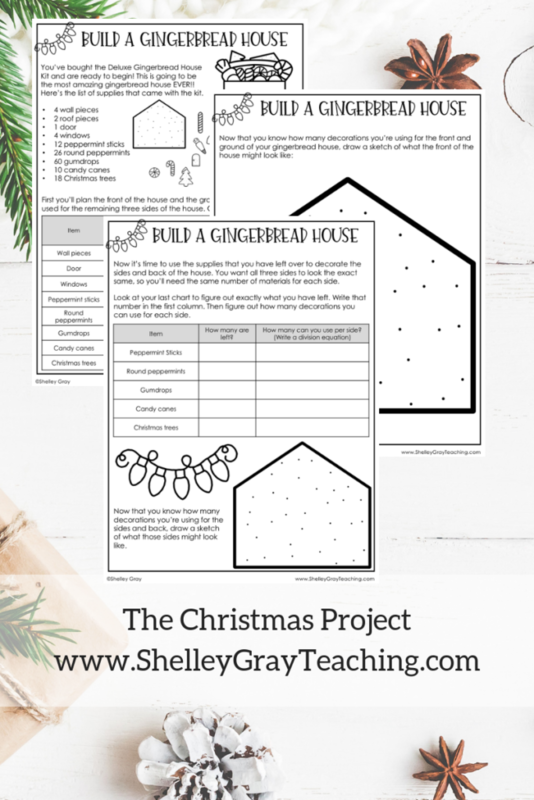 Use the supplies in the Deluxe Gingerbread House Kit to plan the PERFECT gingerbread house! This package also includes modified pages for any of the activities that work with money. This means that even your struggling students can be successful using even dollar amounts rather than working with decimals. 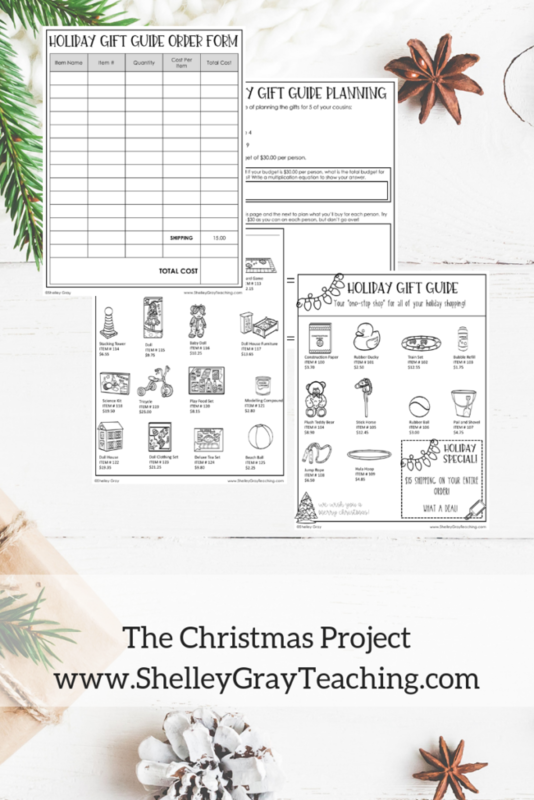 GET THE CHRISTMAS PROJECT HERE.